If you have any questions about the ROUTE 66 information page below please contact us. Boasting a spectacular stern and an aggressive plum bow, luxury mega yacht ROUTE 66 is a sleek and graceful 66-metre steel and aluminium displacement vessel, built by the well known Ancona-based shipyard, ISA Yachts. 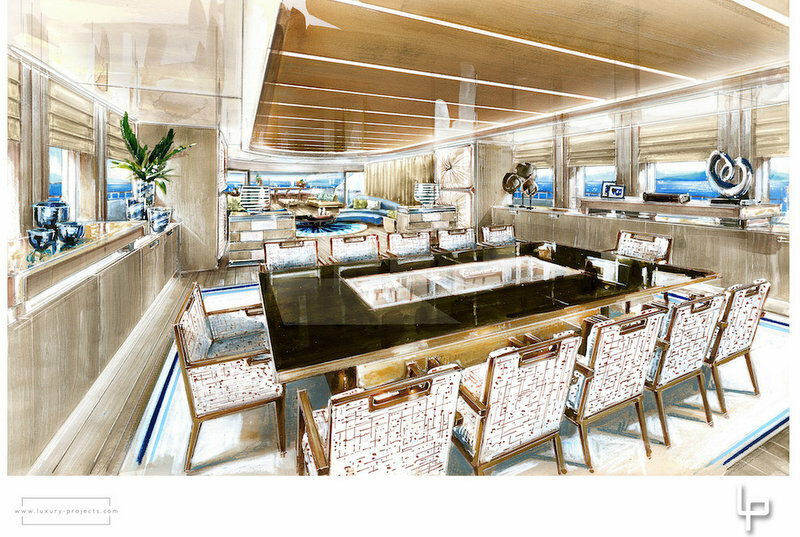 ISA 66M motor yacht ROUTE 66 has been named after the famous legendary American highway crossing the States from Illinois to California. 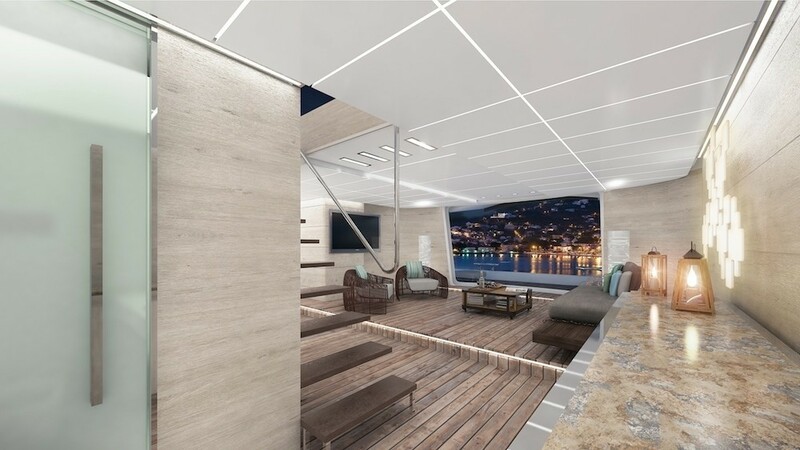 The naval architecture of this striking vessel has been developed in-house by ISA Yachts Technical Department, with exterior design by Andrea Vallicelli and interior design by Luxury Projects. 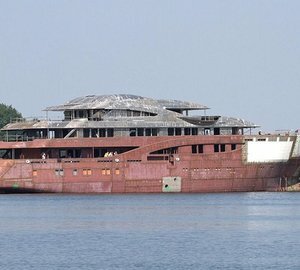 The launch of the ROUTE 66 yacht is in 2017. Spanning over four spacious decks, ISA 66M superyacht ROUTE 66 provides deluxe accommodation to up to 12 guests in 6 magnificent cabins. 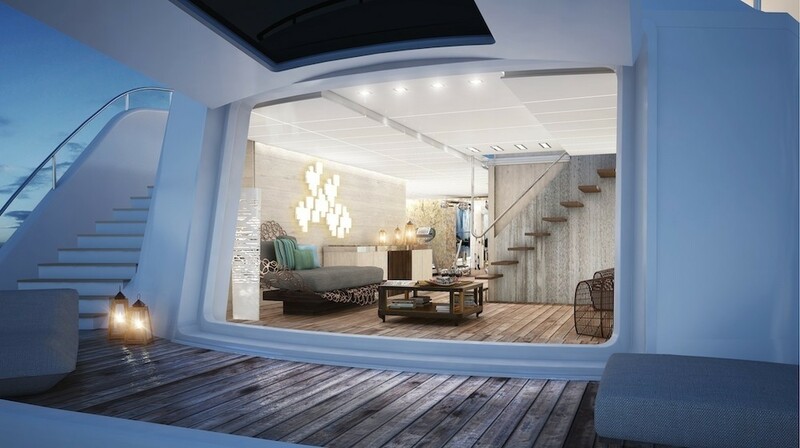 In addition, there is the main deck saloon, which presents the idea of a lounge, which opens to the cockpit with a unique perception of spaces. The dining room, positioned forward of the salon, totally enjoys the light coming from the full height side bulkhead windows. 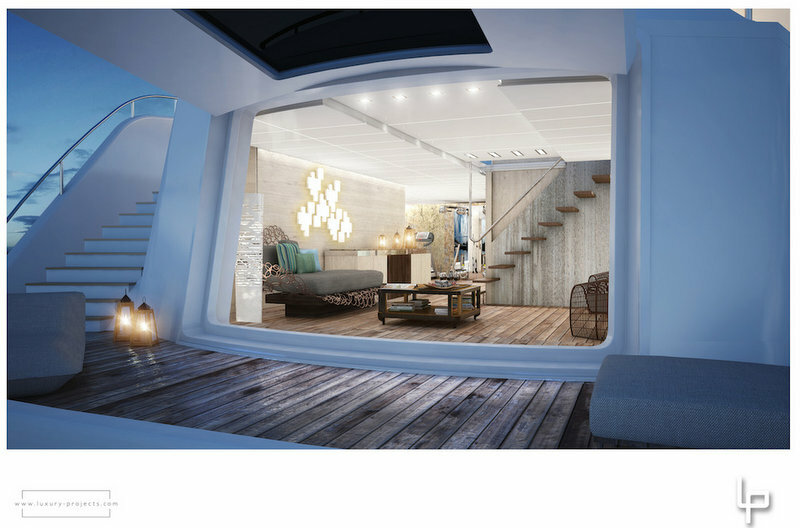 Luxury yacht ROUTE 66 also boasts an enormous beach area that can be easily shaped as a real sensorial SPA, as the layout easily allows a sauna, an emotional shower and an hamman. Forward the flush deck can easily enclose an helipad. Mooring area and tender garage for an 8-metre rescue tender and jet skies are underneath this area. 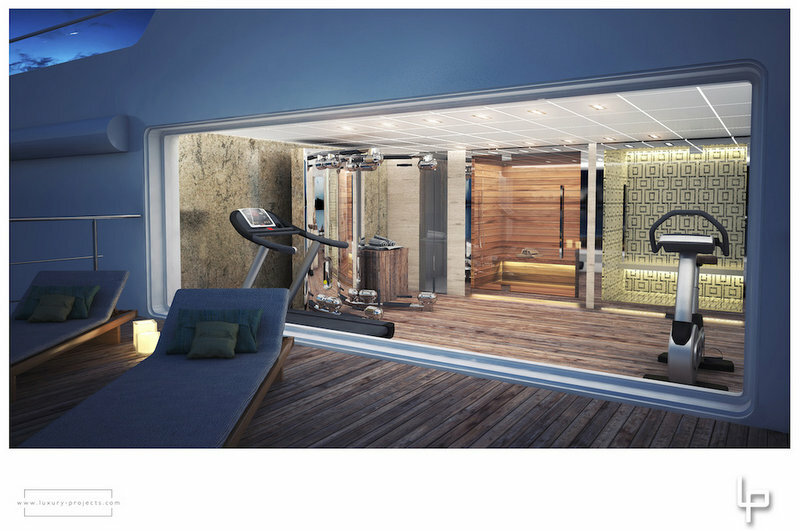 The main tender garage is situated starboard on the lower deck opposite to the gym. Luxury super yacht ROUTE 66 can achieve a top speed of 18,50 knots and a cruising speed of 16 knots, thanks to her twin CAT 3512 C diesel engines. 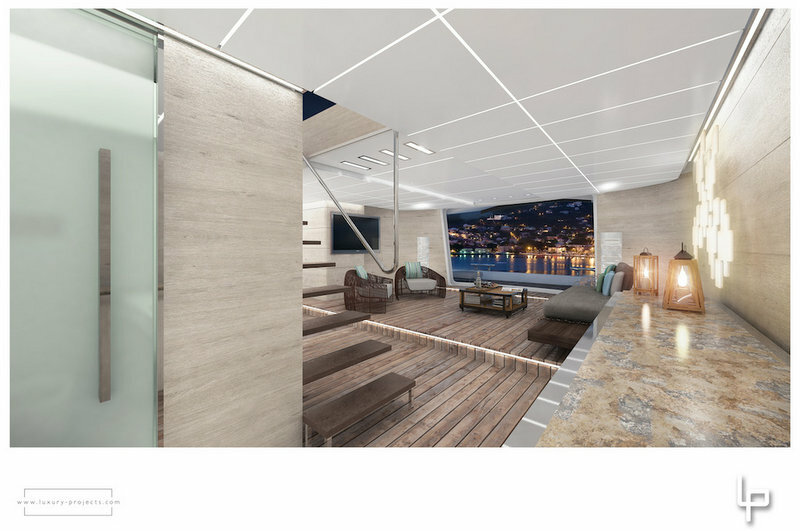 Lovely and comfortable accommodation aboard ISA 66M super yacht ROUTE 66 is offered to up to 12 guests in 6 beautifully appointed cabins. ROUTE 66 yacht features a tender garage for an 8-metre rescue tender and jet skies. The main tender garage is located starboard on the lower deck opposite to the gym. 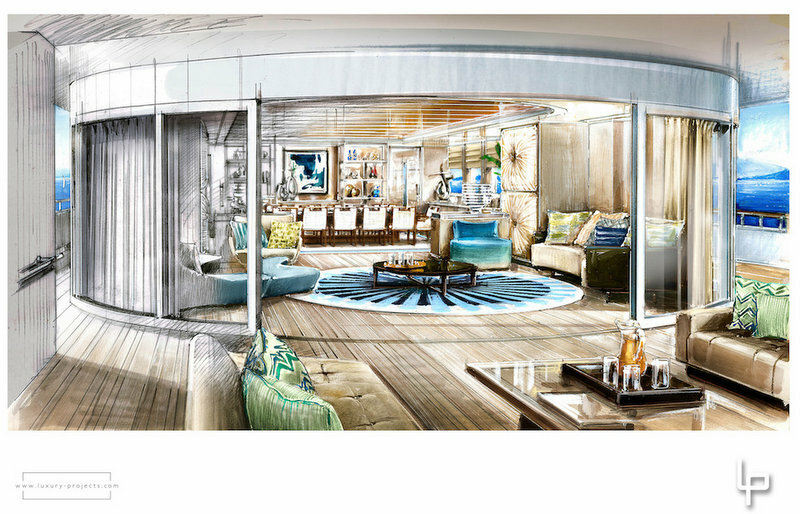 The luxury yacht ROUTE 66 displayed on this page is merely informational and she is not necessarily available for yacht charter or for sale, nor is she represented or marketed in anyway by CharterWorld. This web page and the superyacht information contained herein is not contractual. All yacht specifications and informations are displayed in good faith but CharterWorld does not warrant or assume any legal liability or responsibility for the current accuracy, completeness, validity, or usefulness of any superyacht information and/or images displayed. All boat information is subject to change without prior notice and may not be current.